A federal ruling this week in a Memphis union campaign underscores the toothlessness and ineffectiveness of labor law. 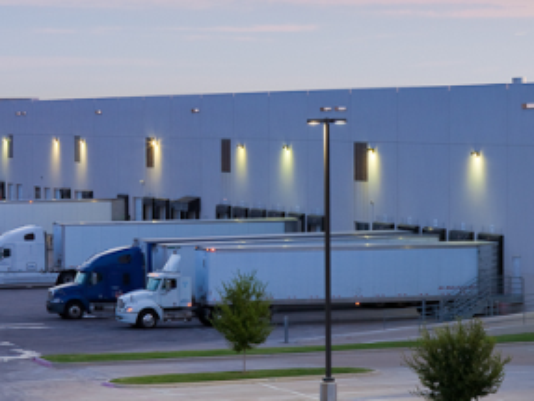 For the past seven years, workers there have been attempting to organize and collectively bargain at several Ozburn-Hessey Logistics (OHL) distribution centers. Last Friday, the U.S. Court of Appeals for the D.C. Circuit denied the company’s appeal of multiple National Labor Relations Board (NLRB) findings. In 2009, the workers in Memphis began organizing with the United Steelworkers (USW), and later that year filed for an NLRB election, which was held in 2010. The union narrowly lost, but the NLRB found the company violated the law during the campaign. Another election was held in 2011, which the company then challenged. Amongst other unlawful actions, the NLRB ruled that the company illegally surveilled, intimidated, disciplined, and fired workers throughout the course of this organizing. In 2013, the NLRB finally certified the union, but the company continued to violate the law by then refusing to bargain with the union. The D.C. Circuit upheld these rulings by the NLRB and denied the company’s appeal of the ruling. At the same time, it is unclear just how helpful the decision will be. While organized labor has long advocated for more effective labor law remedies, it doesn’t seem likely any will be enacted anytime soon. The labor movement and its allies placed much hope in Barack Obama’s 2008 campaign promises to pass the Employee Free Choice Act. The legislation not only would have brought card check certification and first-contract arbitration (its more famous provisions) to the United States, but also would have increased penalties and strengthened enforcement procedures for illegal firings. However, the bill was not a priority for the Obama administration after the election and never got to a vote during his eight years in office. Hillary Clinton has pledged to “fight to strengthen the labor movement and to protect worker bargaining power”; however, should she be elected, it remains unclear what exactly this will look like or how she will be able to do that unless progressive Democrats take control of Congress. As a result of the inability of Congress to pass labor law reform, more and more advocates are looking outside the courtroom and halls of Congress for solutions that will not only directly address current issues but will also cause elected officials to act. Increasingly, activists are calling on organized labor to return to its original and most powerful weapon: the strike, the ability of workers to withhold their labor. Kris Warner is publisher of Payday Report and a member of the Industrial Workers of the World. Full disclosure: Warner was previously a union organizer with the United Steelworkers and also worked at the Center for Economic and Policy Research. Be the first to comment on "After 7-Year Struggle, Memphis Workers Win Federal Ruling But Will It Help?"